This is the first non-Salvatore book I’ve read in the Forgotten Realms universe, and for a book in this shared-universe genre I found it quite good with writing superior to what I typically would see even in the best of Salvatore’s or similar. 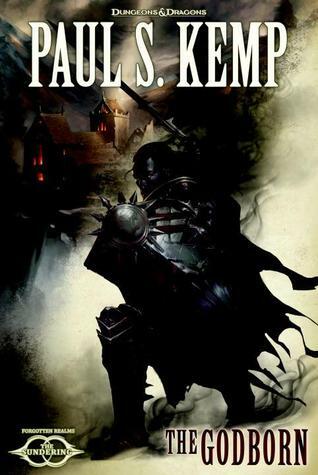 As a stand-alone novel in the loosely tied “Sundering” series, I found that Kemp managed to keep this novel far tighter and less mysterious than Salvatore’s “The Companions” despite my being utterly unfamiliar with any of the characters here. My unfamiliarity with Kemp’s characters may be partially why this novel felt nicely fresh and new compared to the well-tread tales of Salvatore. There are fewer cleanly good, upright moral characters in this compared to Salvatore’s, and Kemp doesn’t turn aside of moments of discomfort, horror or vulgarity when necessary. I also appreciated that this novel by Kemp is a proper story in completion. Though it obviously sets the stage for future adventures of the characters, it stands on its own with a sense of completion and payoff. The only weakness I saw in this was Kemp’s handling of action sequences. They are often related in a straightforward manner, one event listed after another, each sentence with similar construction and flow, almost as a dry summary. I don’t think anyone would look at this expecting some amazing piece of literature, it certainly isn’t. But it is an enjoyable, easy fantasy read with enough complexity and style to make it worthwhile. In the end I don’t know if I’ll read the remaining novels in the “Sundering” series, but I’m glad I had the opportunity to be freely introduced to Kemp’s work, it provides a welcome alternate to the over-familiar quaintness of Salvatore.